Home » Media » JHR Presents Night For Rights on Nov. 16! 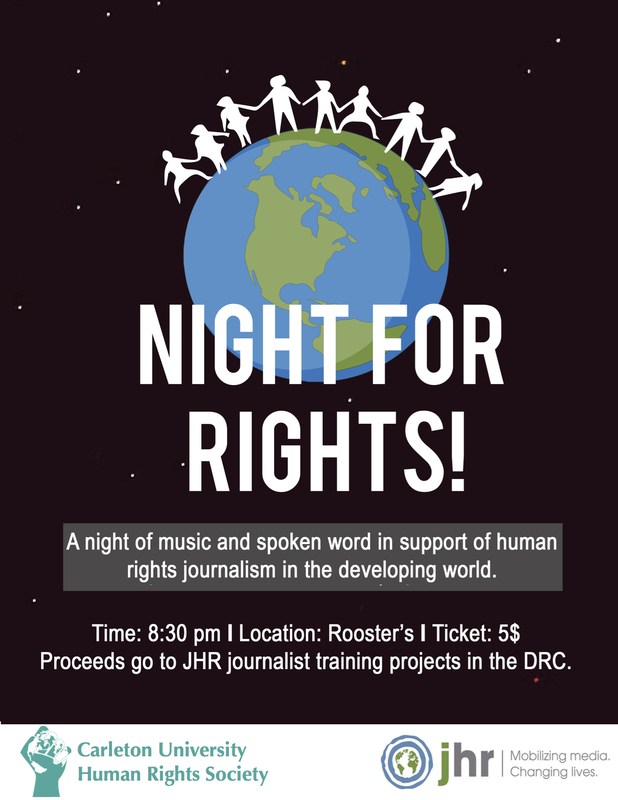 JHR Presents Night For Rights on Nov. 16! Join us Nov. 16 at 8:30 p.m. at Rooster's Café for a night of music and spoken word! Tickets $5 at the door.